Where do I Cut My Orchid Spike after Flowering? Taking care of an orchid is more like a part-time job. However, this is somewhat different in a way that seldom is the case that it requires attention and when it does, it is a full-time job. When you are through the stage of choosing an orchid, next is the most popular question: Where do I cut my orchid spike after flowering? A question that is asked every now and then by orchid-keepers as we call them. 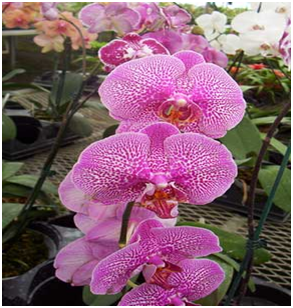 So all you orchid keepers out there consider this as your lucky day for the upcoming information comprehends all the details, including the petty ones, related to cutting of the orchid spike. The Right Time: A year is more than enough to wait for more flowers to grow. When that has passed and you see no flowers, yes, that is just the right time for you to cut it. Since phalaenopsis is the most commonly used indoor orchid, let’s discuss the difference in the roots and spike of this orchid. The spike is brighter green in color and is somewhat flattened which distinguishes itself clearly from the root. 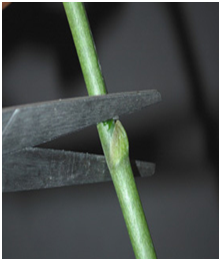 There is a small triangular area on your orchid stem that is usually thickened from the rest of the stem. Cut it; or rather slice it, to boost new flower spikes. Another indication is to look for a widened beige bract (they encircle the spike). You specifically need to look for one that is shield-shaped for beneath that is an inactive bud. Cut the spike just above that bud and you have just removed the hormones that were hindering the growth of new flowers. They will then start to differentiate into a flower spike. Hold the spike and make a sharp cut about one-quarter inch above the beige bract when your spike has grown well. Everybody owns a pair of pruners! The tools you use, such as scissors, should be sharp enough. Use of scissors that you use in your house for numerous purposes is strictly prohibited! That is so for it will not and cannot perform the job of a sharp, razor-edge pruner, razor-blade or any other cutting tool you could think of. Of course, you may already own a pair of pruners and additional tools if you already happen to have flowers growing in backyard or home-plants. Unless the pruner is brand new, it is not wiped clean. 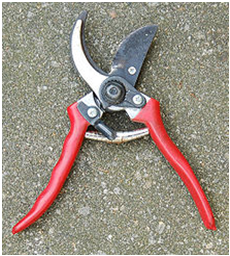 Seemingly it would look like a clean pair of ready-to-cut-some-spikes pruner but it is not actually. There are remains of saps and other bugs and fungi that you may not know are residing and have been caught from the last plant you use it for. Clean it up and then make a good use of it else it will only ruin your orchid. If you are using razor blade, use one for one plant only and then discard so that the bacteria doesn’t transfer from plant to another. Razor blades are cheaper so using a new one rather than a used blade is a better alternative. Slicing is a better option than crushing because crushing leaves behind damaged tissue. It happens when your cutting tool is not sharp enough to slice through in the first try. If your flower is weak then you might as well need to re-pot it and give it a relaxation time to strengthen up before you make the move. This might take up to a whole summer. Lastly, practice, practice and some more practice is what will make you perfect on the cutting technique so you need to work on that. 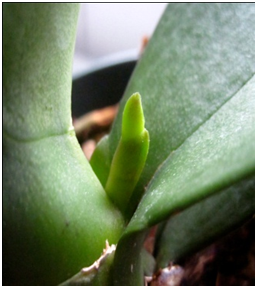 This is all about where to cut your orchid spike when it through the flowering stage. Along with all these details it is a must to know your orchid. If you have too many of them then perhaps the same set of techniques may not work for all of them. There are slight and sometimes completely different steps involved. Since most of the times it’s a phalorchid that you own at home or you get commonly from the market, it is a good idea to go through the techniques again, thoroughly.